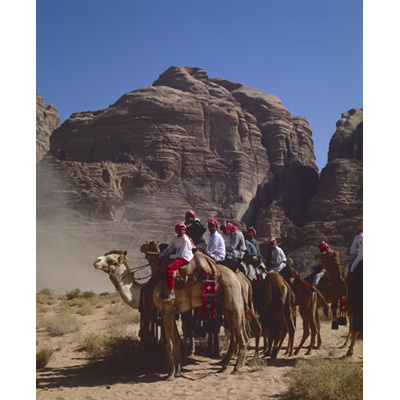 Jane Taylor, famous for her photographs of Petra, recently donated 7,000 photographs to ACOR. Since 2017, ACOR has been digitizing these and the complete collection is now online. Jane Taylor’s collection captures pivotal moments from the last 30 years in the Arab region and Asia, featuring subjects spanning cultural heritage to social history. Glenn Corbett and Jack Green discuss how ACOR's photographic database can serve as a resource for recording and studying cultural heritage of the region. George Bass, best known for his underwater archaeology expeditions and as the founder of the Institute of Nautical Archaeology, made a trip to across the region in 1955-1956, documenting his experience in letters and photos. These give us a glimpse of the region’s cultural heritage — some of which has since been damaged by conflict — and the politics of the moment during a year of profound change. An introduction to the ACOR Archive's photo digitization project, preserving photographic heritage from across the region. The American Center of Oriental Research (ACOR) in Amman, Jordan, is a non‑profit, 501(c)(3) academic institution dedicated to promoting research and publication in the humanities and social sciences, with a particular focus on issues related to Jordan and the broader region. The ACOR Library holds a remarkable photographic archive related to its role in preserving and promoting the country’s heritage. 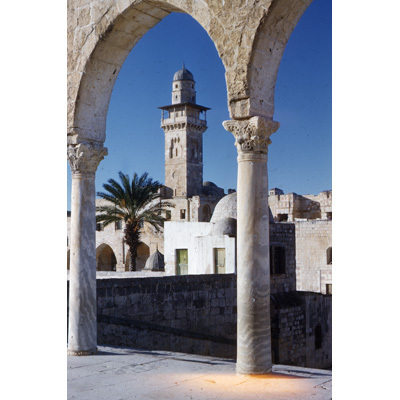 The complete collection, estimated to number more than 100,000 images, provides primary visual documentation of Jordan, including the major archaeological and cultural heritage projects that the center has sponsored across the country over the decades. Given its broad range of content and subject matter, the ACOR Library photographic archive has the potential to be a crucial resource for American, international, and Jordanian scholars involved in cultural and natural heritage preservation and management. As a first step in making this extensive archival collection available to researchers, the ACOR Library is cataloging, digitizing, and making accessible online ACOR’s major institutional and donated photographic holdings. The ACOR Research Library Photographic Archive Project is made possible under a Fiscal Year 2016 American Overseas Research Centers grant from the U.S. Department of Education. Jane Taylor, a published author famous for her photographs of Petra, donated a collection of over 7,000 photographs to ACOR in 2015. Jane Taylor’s collection captures pivotal moments during the last 30 years in the Arab region and Asia, featuring subjects spanning cultural heritage to social history. In addition to extensive coverage of Jordan (including many aerial shots), the collection includes photography from Yemen, Iraq, Egypt, Turkey, Saudi Arabia, Iran, Pakistan, and Syria. Taylor’s collection also includes her work with UNICEF in the aftermath of the Gulf War in the 1990s. Read more: Jane Taylor collection Finding Aid. Rami Khouri is an Arab American journalist, editor, and political commentator. Khouri served as editor-in-chief of Jordan’s English-language daily, The Jordan Times, from 1975 to 1982 and again from 1987. Khouri was the first director and is now a Senior Fellow of the Issam Fares Institute for Public Policy and International Affairs (IFI), and he is a professor at the American University of Beirut. The Rami Khouri collection features many archaeological and cultural heritage sites, as well as photo-journalistic documentation of daily life and events in the region from the 1970s to the early 2000s. Khouri’s collection includes 35mm slides, negatives and photographic prints, VHS and beta video cassettes, and printed materials. Read more: Rami Khouri collection Finding Aid. George Bass is known to many in the archaeological world as the founding father of nautical archaeology. He was the director of the first archaeological expedition to entirely excavate an ancient shipwreck (Cape Gelydonia, 1960) and he also founded the Institute of Nautical Archaeology (INA) in 1973. The George Bass collection at ACOR includes photos from Jordan, the West Bank, Lebanon, and Syria, offering rare insight into famous heritage sites over half a century ago, as well as the impressions and escapades of Bass as a young man travelling through the region, shared through his letters. Paul and Nancy Lapp began their archaeological training together in 1957 and remained a team throughout their lives. Paul Lapp was involved with the American Schools of Oriental Research (ASOR), as Director (1960-65), and Professor of Ancient Near Eastern History and Archaeology (1965-68). Nancy Lapp continued publishing their joint excavation reports after Paul’s death in 1970. Nancy Lapp is Curator Emerita of the Kelso Museum of Near Eastern Archaeology in Pittsburgh and a Trustee Emerita of the ACOR Board of Trustees. The Paul and Nancy Lapp collection includes their excavations with the Dead Sea Plains Expedition, particularly at Bab edh-Dhra and is comprised of c.2,500 35mm slides taken between 1957-2002. The Charles Wilson collection was donated to ACOR by Jane Taylor. The collection is made up of a series of print photographs taken between 1944-45 when Wilson was purchasing provisions for the British army. The photographs show agricultural processes, the transportation of wheat and straw by handcart and camel, and Jordan’s famous heritage sites including Petra’s monastery and royal tombs and Amman’s Roman Theater. 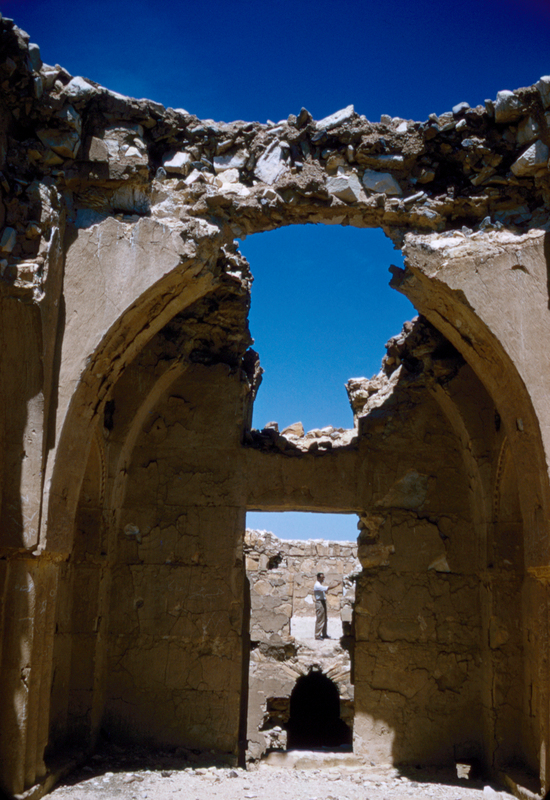 Linda K. Jacobs, published author and archaeologist, donated a photograph collection to ACOR which includes images of cultural heritage sites from the 1980s, now threatened by the unstable political situation. Jacobs spent a year living in Jordan working on an archaeological dig. 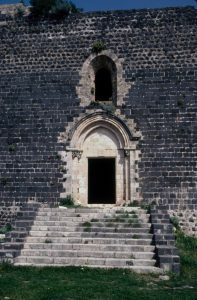 Jacobs’ collection includes photographs from both Syria and Jordan. Read more: Linda K. Jacobs collection Finding Aid. Dr. Robert Schick is an archaeologist and a historian of the Byzantine and Islamic periods with a special interest in the city of Jerusalem during the Islamic periods. He has worked on excavation projects in Jordan for many years. 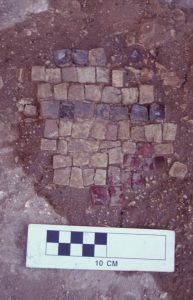 Schick is currently preparing the final report of an archaeological excavation from 1992-1993 of a Byzantine-Early Islamic building (the Burnt Palace) in Madaba. 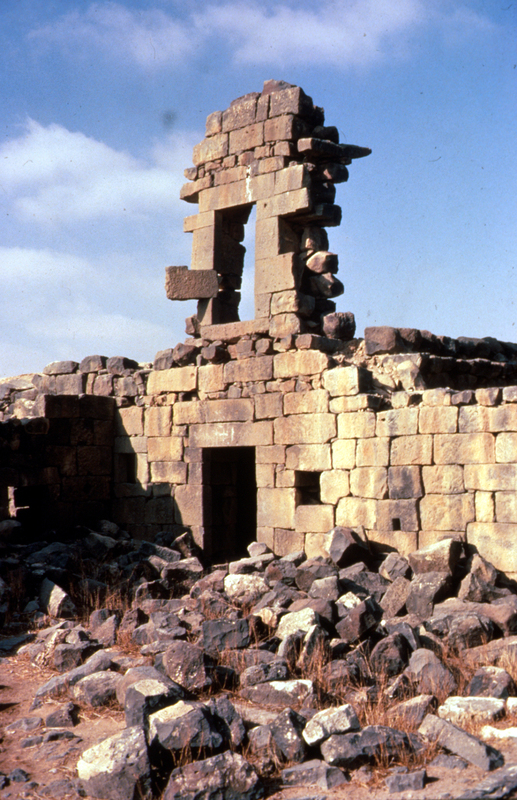 Robert Schick donated a small collection of 35mm slide photographs of archaeological sites in Jordan to ACOR in 2018. Read more: Robert Schick collection Finding Aid. Bert de Vries was ACOR Director from 1988-1991 and is now Director Emerti. 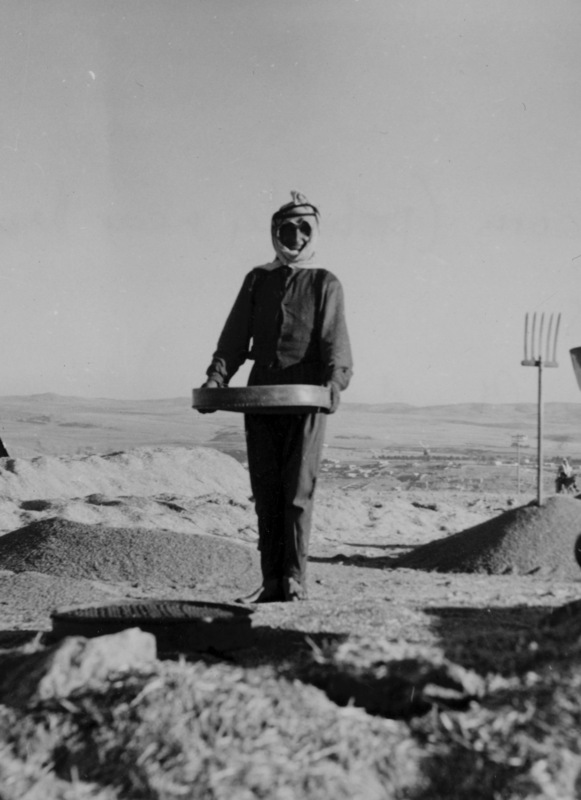 The Bert de Vries collection spans many sites in Jordan, with a particular focus on Umm el Jimal, the site that de Vries currently works on with the Sustainable Cultural Heritage through Economic Empowerment (SCHEP) project, run through ACOR. The Bert de Vries collection will be made available online soon. 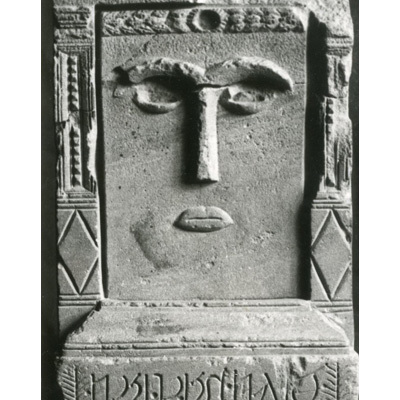 James A. Sauer (1945-1999) was a specialist in ceramics, and he developed a pottery chronology from his work at Tell Hesban that is still widely used in today. Sauer was ACOR Director from 1975-1981 and President of the ACOR Board of Trustees 1991-1992. The James A. Sauer Memorial Fellowship provides support for students undertaking archaeology or cultural heritage degree programs. The James A. Sauer collection will be made available online soon.